The FCTC Written Test was developed by the California Firefighter Joint Apprenticeship Committee (Cal-JAC). It is a fully validated general knowledge written test with questions and examples tailored to the profession and designed to demonstrate your ability to process information and think critically. Section 1 – Recall and Comprehend Verbal and Visual Information. This section requires candidates to watch two short videos and answer questions based on the scenarios presented. Candidates will then have 2.5 hours to complete 100 multiple choice questions. The FCTC Written Test is administered at minimum quarterly. Additional tests will be added as needed, so check this website frequently. FCTC does not administer online tests. 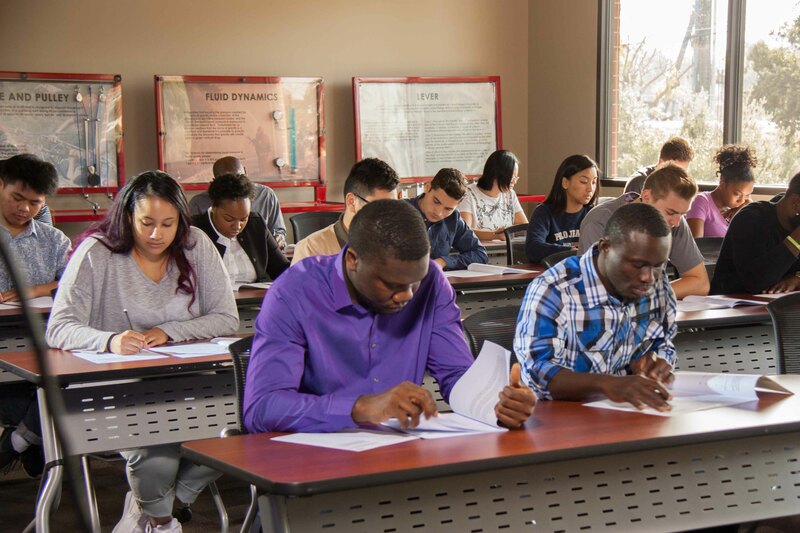 On test day, candidates must bring one form of valid government identification -- driver's license, state ID card or U.S. passport -- to be admitted to the test. Candidates should allow 2.5 hours for the test and 1 hour for registration at the designated testing site. FCTC will provide all testing materials. Candidates will not be permitted to bring backpacks, notebooks, calculators or any other personal belongings into the testing venue. Cell phones should be left outside or turned off for the duration of the test. Any candidate whose cell phone audibly rings or buzzes during the test will be immediately dismissed from the test and given a failing grade. Scores will be added to a candidate's FCTC record within one week of the test date. Check out the Written Test FAQ for more information. If you still have questions, please contact FCTC. Testing Accommodations are performed at the Sacramento and South El Monte FCTC locations. Other accommodation locations will be available at the discretion of the FCTC Office. The application will be received by FCTC and a staff member will contact you with additional details within 5 business days.